Santi won a Moonbeam Children’s Book Award! Home Book Santi won a Moonbeam Children’s Book Award! 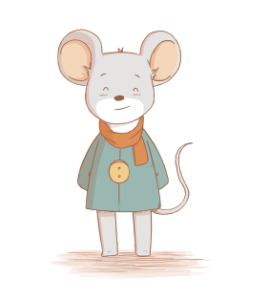 The Little Mouse Santi is the winner of a Moonbeam Award! 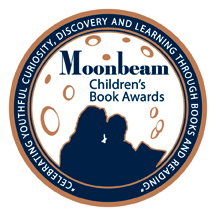 Confetti Park is honored and so delighted to announce that our first published children’s book, The Little Mouse Santi, has won a Moonbeam Children’s Award! The Moonbeam awards are dedicated to the notion that reading to and with your children will inspire them to become lifelong readers and learners. Author David Eugene Ray and illustrator Santiago Germano have won a Bronze Award for best picture books for children 4-8 years old in 2015. Their adorable book The Little Mouse Santi is about a little mouse who dreams of being a cat. The Moonbeam Children’s Book Awards, which is in its 9th year, are intended to bring increased recognition to exemplary children’s books and their creators, and to celebrate children’s books and life-long reading. Each year’s entries are judged by expert panels of youth educators, librarians, booksellers, and book reviewers of all ages. Award recipients receive gold, silver and bronze medals and stickers depicting a mother and child reading and silhouetted by a full moon.